Deplorable road conditions are common in Belize, but while the old capital is getting some much needed face lifts with concrete streets, other parts of the country aren’t as fortunate. A concerned citizen in Independence Village sent us these images of streets from across the community. While there is a shortage of paved streets, those with bits and pieces of pavement are decorated potholes that accumulate water whenever it rains. This, he said, has created a breeding ground for mosquitoes in the community and they are concerned that there will be an outbreak of malaria because the neighboring community of Riversdale has already recorded two cases in the past few weeks. Other streets with bits and pieces of pavement are just as gutted. And as the rainy season steps in, the mud roads are almost impossible to track through, but villagers have no other choice. While they recognize that the village doesn’t have a proper drainage system, residents told News Five that they are really in need of assistance from the Ministry of Works to provide heavy equipment to fix the streets. They say it is imperative that the streets be upgraded because schools will re-open soon and children will have to be tracking through the mud. Mosquitoes and malaria are a SERIOUS health problem. GOB needs to get some people out there spraying this standing water. @Bear only you care no one else does. I bet you are a gringo scared of maleria in a third world country. 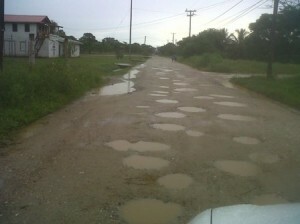 If you travel all over Belize you will see that thats not too bad of a road we have worst ones. Come to Corozal and look at ” the highway “on 7avenue. You go in to one of those holes and you comeout in China. Dont matter where you go is soooo bad like never before. The streets in Independence are deplorable and I applaud the villagers who are concerned enough to speak up about it. Independence has always been like this as far as I can remember,but that does not mean that it should continue like this. It is time the streets of our beloved village be paved. Our children should have better streets to walk to school and wherever they choose to. Standing water on the streets and roads are indeed a health hazard and spraying the water is not the answer. Government needs to step up and paved the streets and also provide proper drainage. But before Government does anything, what about the Village Council? What are they doing about this situation? and shouldn’t they be the ones to address this first? How concerned are these representatives of Independence are? Chairman and Village Council you need to address the needs of the villagers!!! Be proactive!! Have civic pride!!!!!! Now I see, my blood is so mixed, a melting pot looks pure next to me. But we all bleed red, so who cares? Maybe because I am so mixed, I am one of those lucky people that the mosquitoes won’t bite, but my concern is about other people. And Corozal district is my turf, so I know the roads. Some of the worst in the world, even before the rains. 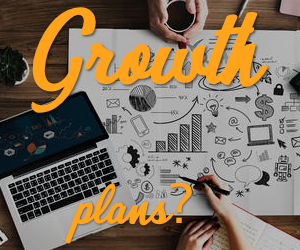 The problems is that mosquitoes kill millions of people around the world every year, and it is not expensive or hard to prevent their eggs from hatching just by a lee spraying. A little money and effort can save some Belizean lives, and I care about that. I just want to encourage someone in power to use the resources they have and not leave them sitting in some garage somewhere. As a councilor, i am not sure what else to say. We have asked, begged, and cried out to our gov’t to come and grade the roads. The last time we got anything was just before elections and before that was when UDP standard bearer convention was about to take place. Our Council has no money and we have tried to raise funds, we have asked that our businesses support us with some money to fix holes, we have tried. Now we wait for our little liquor license money that never comes. We can no longer continue as a village. But we voted wrong when we voted blue and so we will suffer. I do hope that Public Works come and fix the roads. No tar was the excuse, then no money, then too much rain but we understand that you can’t be honest with us. So we wait and wait and wait. Time after time we ask our own villagers to help us too. It’s hard in a culture like ours.